In 2005, San Francisco officials rezoned Rincon Hill, a neighborhood close to the Financial District, to allow for high-density housing. Since then, residential developments have popped up, including The Infinity, One Rincon Hill, and the under construction 45 Lansing Street, in an area that was once a maritime and industrial hub. The newest, Tishman Speyer and China Vanke’s LUMINA, at 201 Folsom Street, broke ground this Wednesday. 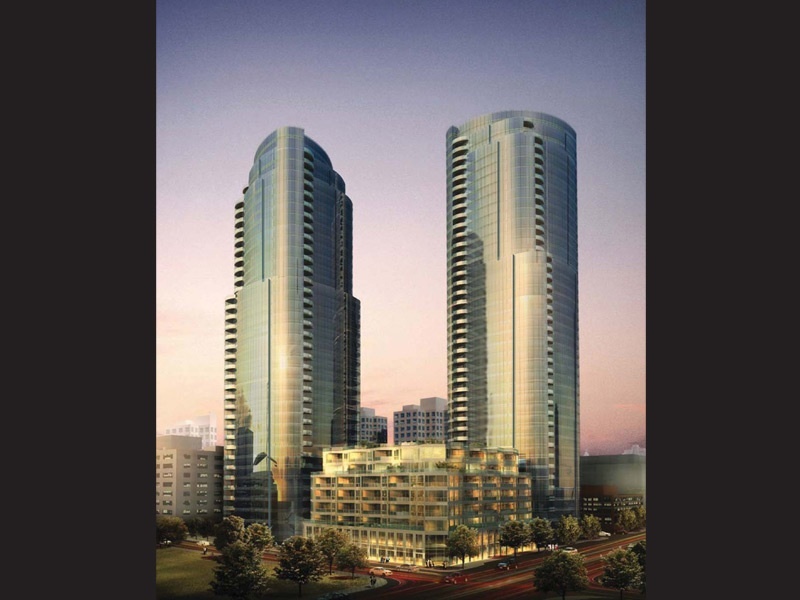 The Arquitectonica-designed development will add 655 condos to the Rincon Hill neighborhood, with views of the city and bay. The residence—two towers (the tallest at 42 stories) and two mid-rise buildings arranged along a courtyard—will have luxury amenities like floor-to-celing windows, a full service sky terrace, and a three-story clubhouse with a pool. Expected completion for the project is spring 2015.